HALLIE EPHRON: One of the pleasures of my life is getting to work with talented aspiring writers. In the fall, Lucy and Hank and I offer a weekend writing retreat, Seascape Writers, and there's no greater thrill than seeing one of OUR writers go on to enjoy success. So I was delighted when email came last week from Pinny Bugaeff telling us her writing won first place (!) in the Connecticut Authors Authors and Publishers Association essay contest. Pinny's essay, "Tell Me A Story," is about reaching female felons through fairy tales. When I read it, it moved me to tears. No wonder she won! Pinny, can you tell us just a little about the work you did with female felons? PINNY BUGAEFF: After working for over twenty years as a therapist with delinquent girls, I thought I’d seen and heard everything. Boy, was I wrong. My goal was to help the women heal by sharing their stories of struggle and pain. Talk about frustration. HALLIE: Whatever inspired you to try reading fairy tales? PINNY: I’d like to say it was a brilliant gambit drawn from my years of clinical experience, but that wasn’t how it happened. One hot night in July, just before group was supposed to start, I was standing on the porch, dreading another hour of sitting under glaring lights and waiting for the women to offer up a few dry crumbs from their lives. My clinical skills bank account was overdrawn. What could I do to help them feel safe enough to break the old rules, rules that were holding them captive in prisons of silence? I thought about going into my office, closing the door and doing what I’ve done since I was little - hide in a book. Since childhood, books have been to me what Notre Dame was to Quasimodo. I had a new book in my office -- The Ugly Duckling. I’d bought it that day for my four year old granddaughter. Since storytelling is an age old practice used by all cultures for teaching and healing, I thought maybe a fairy tale could reach the child trapped inside each of those wounded women. I decided I’d read it to them. HALLIE: What was your first clue that it was working? PINNY: As soon as I began to read the story- “Once upon A time…” I felt the tension level in the room go down 20 points. Then I heard a collective sigh of relief. When someone’s reading to you, you don’t have to talk or tell, just listen. As the women settled back, listening to the story of the Ugly Duckling, they grew quiet and I began to feel more peaceful. When the story ended I closed the book and waited. Sharone broke the silence. She began to talk about the pain she’d felt because her skin was so much darker than her siblings and they’d bullied her for that. The women began asking me, ”Are you going to read to us tonight?” They became more eager to tell their own stories. That’s when I knew that fairy tales were working. One week, Snow White and The Seven Dwarfs inspired Charlene to share a graphic story about a week-end she’d spent in Las Vegas with two guys who were… dwarf. I learned waaaay more about how to “get busy” in the boudoir than I’d ever imagined. (I know Hallie-TMI) But she had a story to tell and, for once, a chance to belong. 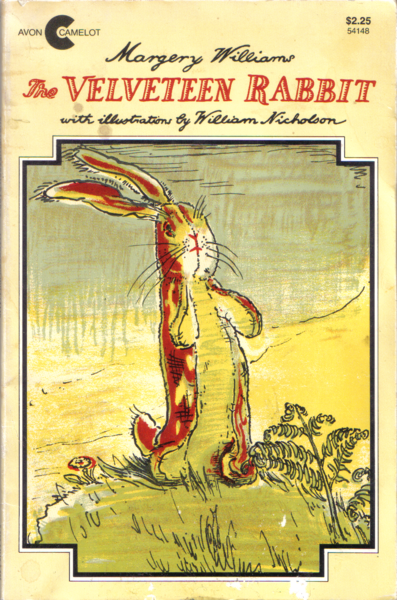 Janeese, the toughest woman I’d ever treated, finally met her match when The Velveteen Rabbit quietly hopped through her defenses. 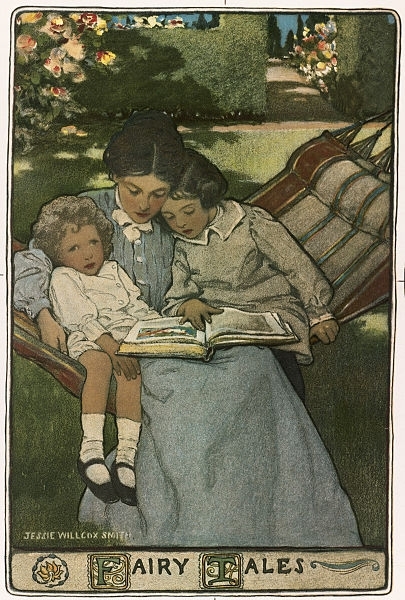 I discovered that most of the women had never been read to as children, never had the chance to hear or learn from the stories that inform the lives of so many of us. My hope was that they’d carry this new tradition back home to their children. HALLIE: Well, from all of us, Pinny, CONGRATULATIONS! Which reminds me, next week Hank and I will be at a fundraiser for an organization that has one simple goal: to encourage parents to read to their children. Raising and Reader. They have programs all across the country. When I was little, I powered through all of the Grimm's Brothers, the grimmer the better. Donkey Skin. The Tinder Box. Thumbelina. What is it about fairy tales that strike a chord in all of us, and what are your favorites?? What an inspiring story! 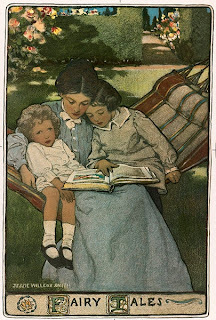 And, yes, reading to children [and, as Pinny proved, to storytime-deprived adults] is powerful and important and can be life-changing . . . . At the top of my favorites list are “The Velveteen Rabbit” and “Sylvester and the Magic Pebble,” neither of which are true fairy tales, but both of which are classic children’s stories with messages of love and hope . . . .
As for the fairy tales, there’s “Rumpelstiltskin” . . . “The Ugly Duckling” . 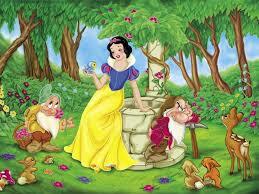 . . “Snow White and the Seven Dwarfs” . . . “Beauty and the Beast” . . . I’m a sucker for the “happily ever after” . . . .
What a wonderful and inspiring story, Pinny. I am proud to know someone (I believe we did a Seascape together) with the heart and the courage to work with such troubled women. We should all be so strong and unselfish. One of you famous writers needs to push this as a TV documentary. JMHO. Fairy tales scared the heck out of me as a kid. The little baby deer and elephants were always losing their mommy is the first chapter. I cried and wouldn't listen to anymore. Congratulations, Pinny, on winning the essay contest. If it is similar to what you've written here, I understand why you were recognized. This was so moving and thoughtful. The Disney movies terrified me, too, when I was little - I ran screaming out of Bambi. Dissolved into a puddle of weep when Dumbo's mother died. And nearly ha a heart attack when I met Monstro the whale in Pinocchio. We have a copy of the "The Juniper Tree and Other Tales from Grimm" that Maurice Sendak illustrated. They really get back to the macabre originals. Among her ashes on the ground. I'm happy that so many of you had the same emotional reactions to some of the fairy tale/ teaching tale stories that I did. Hallie, I thought I was the only one that remembered Struwwelpeter (Slovenly Peter stories) the gruesome cautionary tales and horrifying illustrations were amazing. I loved it! The scarier the better.Hmm, Could that have been why I love murder mysteries? Pinny--congratulations! So happy and proud of you! Me too on the happily ever after, Joan. Once I became a stepmother, I also became sensitive to how often we're the bad guys in fairy tales:(. I was easily scared by all those stories, still avoid anything too horrible or violent! Great interview -- creative and inspirational. Pinny, congratulations! Your story moved me to tears. It reminded me of Mark Salzman's book, True Notebooks, about teaching writing at juvenile hall. OH, Pinny, you are so briliant! That is a wonderful story, and so thought-provoking. COngratulations..! I read a book of Korean folk-tales when I was apparently in my formative years. There was one about how your soul is in your fingernail clippings, and if a creature eats them, they turn into you. Or something like that. I was so..terrified by that. And Dumbo? Forget about it. Tooo sad. Bambi, too. Now way. I've never even seen The Lion King. Too sad. Thanks for the plug, Deb - Hope you'll be there. CAPA U, a terrific 1-day writing conference, is May 8 in the Hartford Steamboiler Convention Center. I get to kick things off. And our own ROSEMARY HARRIS will be there, too! Giving a workshop on writing mysteries. And Pinny will get her award! Yes, dead or appalling parents feature as prominently as egregious stepmothers in fairy tales. How come there are not ugly nasty vicious stepFATHERS? Not many nasty step fathers-but lots of less than stellar fathers.Cinderella's dad wasn't exactly swift . He let the new wife and her snotty daughters walk all over Cindy. And don't forget Hansel and Gretel's pop. "Okay ," he says to wifey. "let's abandon the the kids in the woods..."
What a beautiful essay. It brought a lump to my throat. It's hard to think that some people have never had a book read to them or a story told to them. I grew up with a blind great aunt who told me stories every day. (Thanks, Aunt Min, for the storytelling gift). I never liked the Brothers Grimm stories--too dark and violent, but I did like Hans Christian Anderson. Pinny has the most essential requirement for great writing and emapathic counseling--a profound understanding of human nature. She told me about her contest win, but I still haven't read the essay. When will it be posted on the CAPA website, Pinny? I'd also like to use this forum to thank Pinny publicly for the character motivation help she provided for my short story "Mad Blood" which will appear next month in the new MWA anthology THE MYSTERY BOX. When the editor asked for my bio I reflexively sent my standard one, but I should have included a line calling out Pinny for thanks. Thanks for your insights, Pinny--especially that goldfish! Deb I will be at CAPA U this year. I can hardly wait to hear Hallie and hope I can meet you. Until I entered this contest I too just wrote for my self and family. BUT I've discovered a wonderful secret. It's never too late to become what I might have been. Welcome Pinny! What a wonderful guest post. What Jack and everyone else has already said - sounds like an HBO doc. Fairy tales scared me for some reason. The Steadfast Tin Soldier leaps to mind..
BTW I'm CAPA too - congrats! Dee, I grew up with East of the Sun and West of the Moon. LOVED it! And I was blessed with a story-telling grandmother. She not only told us fairy tales -- she acted them out! Grandma's versions of the classic fairy tales were just a little bit different from the versions that I later read. She grew up sitting on her grandfather's lap, listening to HIS versions of the fairy tales. She grew up in Italy. Years after she died, I bought Italo Calvino's collection of fairytales, Italian Fairy Tales, and recognized some of her versions. Calvino urged readers to change around some of the details if they wished; everybody's family ends up with their own version! My grandmother's versions ALWAYS had Good winning out over Evil. Hallie, Pinny, and Rosemary, I will check my financial situation to see if I can attend CAPA this year! It was a great experience last year. Brilliant work, Pinny. I have always thought that fairy tales are the early sources of life-learnings, especially the dangerous things. They are where we first were cautioned to look under the bridge before crossing (metaphorically), to approach with skepticism promises that are too good to be true (Rumpelstiltskin - from which I learned the basics of looking for lying) and the danger in false reporting (boy who cried wolf). Fairy tales get the lessons imbedded deep into our subconscious, where they can be called up, yet protected. Sadly, fairy tales are discouraged today with the result that people have diminished abilities to protect themselves from everyday risks. Bloodthirsty little cretin that I was, I loved the ones with murders in them, like Blackbeard. Precursor to becoming a fan of mysteries, I guess. But Baba Yaga, the Russian witch, also fascinated me. Pinny, what a lovely, heartwarming story you've given us. I also honor and admire your dedication to such a task, helping broken women to find some redemption through stories. It's actually painful to think of children never being read to. No wonder we have such illiteracy and so much crime, when there are children in this country never getting that attention, never seeing the escape of a drug-free leisure alternative that doesn't involve electronics. I'm a firm believer of reading to children, and am convinced that so many of our problems would be solved if parents are taught not only to read to their kids, but also to let them see the parents reading for pleasure. PS Just went to the Raising a Reader website to see about volunteering in Cincinnati. Shockingly, there is not a single program in all of Ohio. Rosemary, I must be a "dead head" not to remember that you too will be teaching a course at CAPA U.I'm looking forward to it. I think anonymous made a great point, I do believe that the fading practice of reading fairy tales and passing on folk tale wisdom might possibly be one reason why young girls today don't seem to have a lot of healthy skepticism . . or maybe I'm just an old fogey. Interesting that all the tales Pinny chose are about feeling unloved and finding love. Well chosen. Professional storytellers -- tellers, not readers; there's a difference! 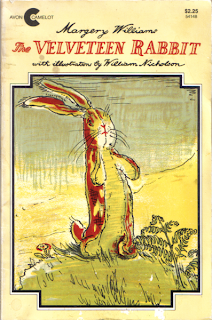 -- often build whole programs around the healing powers of stories, including fairy tales. (Just thought I'd drop that into the general hopper of conversation.) --Mario R.
Your fairytale idea is brilliant, Pinny. Truly inspired. Cinderella made a definite impact on me as a child; so did the Ugly Duckling. Lovely story, Pinny! And many congratulations on winning the essay competition! Wish I could go to CAPA, but I don't see it this year. So, she says (with tears in her eyes), I'll have to miss out on Hallie's keynote, Rosemary's workshop, and seeing Pinny get her well-deserved award. Fairy tales get such a bad rep today--and they're so important! As a literacy specialist, my job is to teach children to read and comprehend what they read. A big part of comprehension is understanding that there is often a lesson embedded in stories, beyond their surface-level entertainment value. I've often tried to use fairy tales to discuss life lessons we can learn from stories, and been surprised at how few children are familiar with tales which I thought every child would know. I'll ask, "You know the story of the Ugly Duckling?" Blank stares. "How about Cinderella? Jack and the Beanstalk? The Boy Who Cried Wolf?" It's worrisome that children may not share a "bank" of stories upon which to draw for understanding and cultural reference. I'm doing my best to fill in the gaps for them. It's nice to know that Pinny was doing the same on her end, and that these stories can bring us together at many stages of life. When thinking about complicated political issues such as the rehabilitation of criminals, it's easy to get mired down in bureaucratic conflict between ideas on criminal treatment. It was nice to see someone with real personal experience with the system use their knowledge to share a more simple treatment that really works. I've noticed how many of us resonate to the story of The Ugly Duckling. Hans Christian Anderson, was apparently quite an ugly duckling himself. I imgaine that's why his story feels so authentic. The heart of his story however, for me, was that life can change if one has the tenacity to stick out the hard parts. And as a former ugly duckling I can say Hans was right! Pinny, what a wonderful way to do this. I love that it is invitational without being obligatory. There are so many ways to experience love, but it is not always made available when it is needed most. Your fairytale method of communication makes healing accessible. Hallie, my favorite fairytale was Hansel and Gretel, I think because they we're in grave danger and yet they escaped. There was hope. Hallie and Jungle Red friends, thanks so much for letting me join you today. Everyone has been so kind and your encouragement is much appreciated. I loved having the chance to share our stories. My essay,Tell Me a Story, will be available soon on Kindle. (99cents for my story plus three others!) Check the CAPA website. That's a great story. I think that there should be more people as creative as you are. Congratulations on winning the contest. Gritty and personal. A real story of fate and broken lives in turmoil,still fighting for redemption and salvation. " I can't wait for your book to come out! Keep writing!